Thinking about pursuing a career as a per diem nurse? 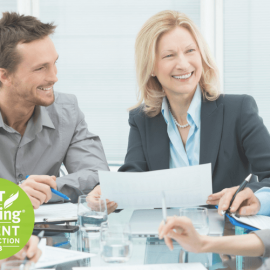 Read on to find out what other benefits come along with the job. 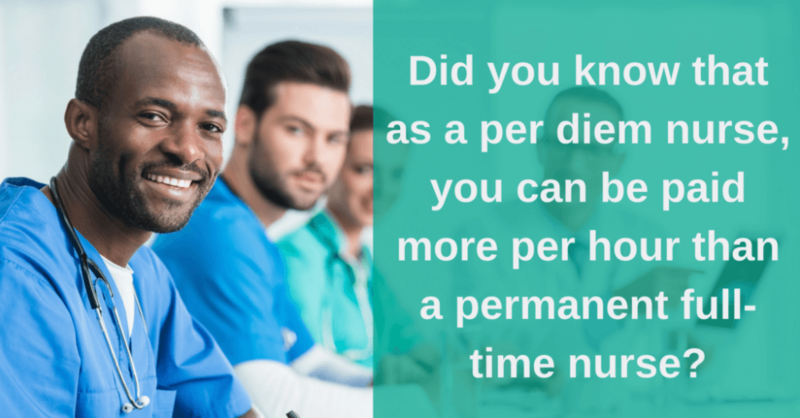 Did you know that as a per diem nurse, you can be paid more per hour than a permanent full-time nurse? In some instances, it’s almost double! In addition to a higher pay rate, you are also able to take advantage of certain tax reimbursements. Professional expenses are deductible. Some of the expenses you can write off are malpractice insurance, uniform costs, professional licensing costs, CE costs, and books, to name a few. These tax breaks can add up, creating even more value to working as a per diem nurse. Based on your commitment agreement as a per diem nurse, you are able to decide which days you want to work and which days you don’t. With the freedom to pick and choose your days off, don’t worry about working weekends or holidays unless you want to. Are you already working part-time and want to take on more work? You can do that! Do you have extra responsibilities at home or are you busy with school? It might be difficult for you to keep a consistent schedule. Working as a per diem nurse allows you to manage your time in a way that makes the most sense for you. Working as a per diem nurse means you don’t have to stay at one location for long if you don’t want to. You can try new locations when you’d like, often not having to travel far from home. This also means the benefit of learning how different hospitals operate and gaining the experience of working with a variety of teams. While you are able to switch up your assignments and facilities, you will be able to gain unique experiences in different specialties. As a per diem nurse, you will be able to avoid getting stuck in a stale routine of working the same type of job for years. Keep your skills sharp by rotating your assignments in different specialty areas. Become an expert in a wide variety of settings. Learn new things working alongside different professionals. Perhaps tune into what specialty you are most passionate about and choose assignments focused in that area. One of the benefits of working as a per diem nurse is the ability to team up with a recruiter. There’s no need to go it alone. Recruiters work with you to help you find your ideal assignment and give advice along the way. Most recruiters have connections with facilities who are in need of per diem nurses and will go to work as your career advocate. Do these benefits seem too incredible to pass by? 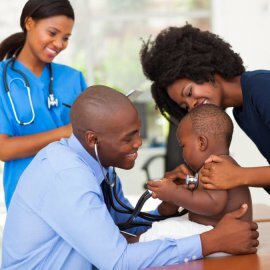 At Alliance Healthcare Solutions, we specialize in matching the most talented healthcare professionals with the best opportunities. Contact us today to start your career as a per diem nurse.